Clock is ticking and only few hours remain in unfolding of what is called biggest event in mobile technology: Mobile World Congress 2015. Every year thousands of analysts, reporters and businessmen descend in Barcelona to be a part of largest trade show in mobile industry. All the big brands wait whole year long for this one event to unveil their flagship and innovative products showcasing their year long dedication and devotion to make this a grand affair for all. This year is going to be no different and some major product announcements are expected from a lot of companies in matter of hours from now. So let we take you to a quick tour of this years MWC 2015 expected occurrences. Samsung is going to showcase two biggest milestones in their as well smartphone history. Samsung will be proudly showcasing S6 and S6 Edge. As rumor mills have already speculated S6 will be highlighting the show with its breathtaking and blasting features. Expected to have a quad HD display with exynos 7 octa core processor along with tons of Ram and internal storage. Also there is wide speculation that it will be housing a 20 MP camera unit and will run on significantly debloated new Touchwiz. After numerous rumors and innumerable leaked images we will be going to witness a wonder tomorrow. Samsung alone won’t be able to steal the limelight alone, HTC is there to share a significant amount of appreciation. 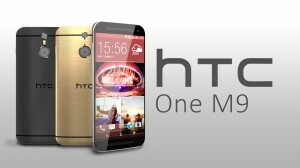 HTC will be showcasing its flagship dubbed as HTC ONE M9. With extremely high end feature it is definitely going to compete against Samsung Galaxy S6. One M9 will be keeping all the premium features of last year’s One M8 including aluminium build and front stereo speakers. One M9 is rumored to be rocking a Qualcomm Snapdragon 810 chip under its hood with a massive 3 GB Ram along with a 20.7 MP shooter at the back for stunning camera experience. Sony with its fair share of success all through the years will be debuting a waterproof smartphone dubbed as XPERIA M4 AQUA. It will be running android lollipop out of the box which is an added advantage with many devices following the similar fashion. 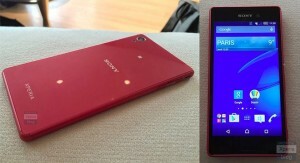 Apart from this Sony will also be showcasing a tablet dubbed as XPERIA Z4 Tablet with 10- inch, 2K display. It is rumored to house a octa core processor incorporating Qualcomm Snapdragon’s 810 chipset. Finally, Blackberry will be making its debut tomorrow in Mobile World Congress 2015. 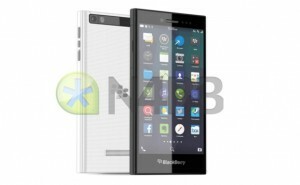 The rumor mills have suggested that Blackberry will be launching Z20. It is expected to feature a Qualcomm Snapdragon S4 MSM8960 with 1.5 GHz dual core Krait CPU along with 2 GB of Ram.Apart from this an 8 MP rear snapper and 2 MP front facing snapper will be tucked into 8.9 mm thick body with a 2800 mAh non-removable battery. The picture will be more clearer as the event unfolds tomorrow. Other than these brands other big player like Apple, Acer, Microsoft, Huawei, Meizu and Lg will be putting their best innovative devices like smartwatches and smartphones to display. It is definitely going to be a grand gala ceremony. So few hours remaining all the speculations will be coming to an end tomorrow putting a check on rumor mills. This year’s MWC is going to consumer centric affair.